Having a sound sleep is important for anyone to enjoy a good health and complete the daily routine tasks easily. But there are certain issues that can disturb one’s sleeping routine and create a nuisance. One such issue is snoring. Snoring is a major issue in today’s world with no effective cure available in medical science. As a result, it is important to get the sleeping posture right so that the pressure in the nasal cavity reduces and the snoring does not take place. Sleeping upright is the easiest way to stop snoring but getting this posture in normal beds is not easy. Using adjustable beds for snoring is the easiest and most comfortable way to get rid of this problem and enjoy a comfortable yourself and also let other people in your vicinity sleep peacefully as well. Snoring is a result of vibration in the nasal and throat tissues due to the air flow. When you sleep on your back, your tonsils, palate and tongue are pulled down due to gravity. As a result, the body parts get crowded and result in tightening-up of the space for the intense vibrations. This produces the snoring sound, which in some cases can become a nuisance to others and disturb their sleep or rather render them unable to sleep. 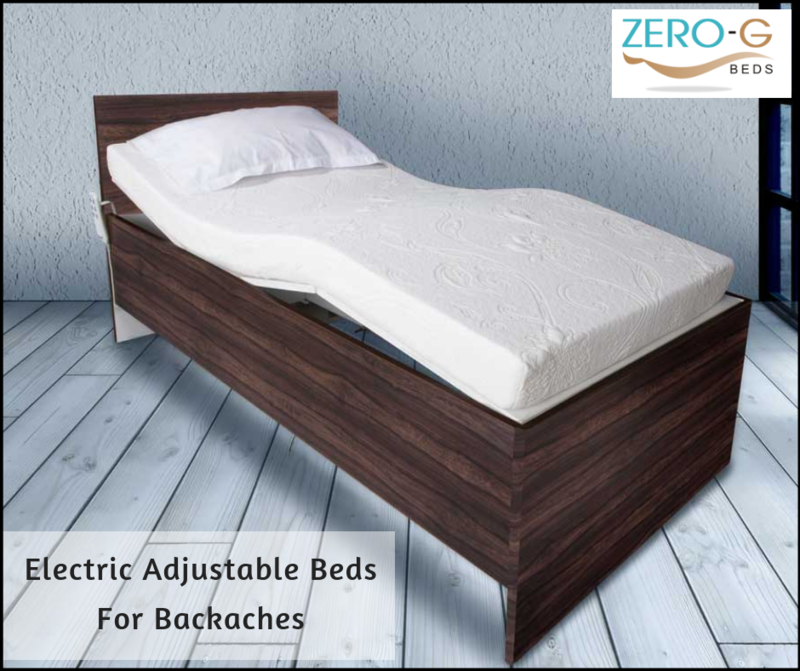 As the name explains, an adjustable bed is such a bed that can be altered into different positions as and when required. These adjustments are made with the help of a multi-hinged surface for laying of the person. 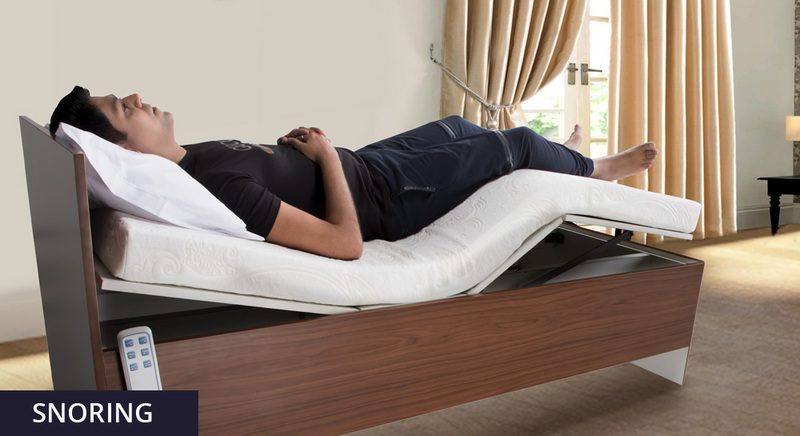 These adjustable beds allow for adjustment of the position of the lower body and the upper body independently. There is also the option of manipulating the height of the bed along with the option to tilt the bed. An adjustable stop snoring bed is the most effective way to combat snoring. Let’s look at the ways by which it reduces snoring. You can manipulate the position of your upper body and lower body on the adjustable bed as per your convenience. This can help you achieve an upright position where the congestion in the airway is not there and you are able to breathe freely, thereby reducing the snoring. People sit up in bed or use pillows to keep the head in an elevated position. An adjustable bed is definitely more effective way to keep the airway clear. 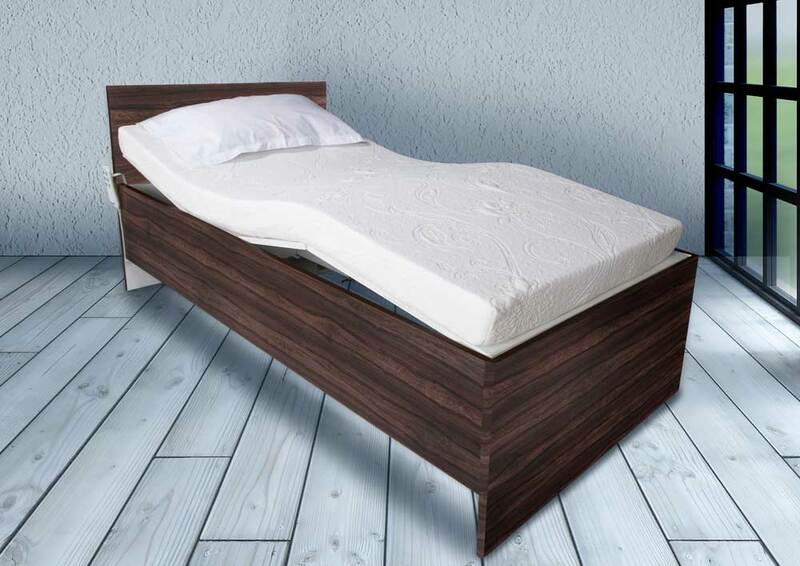 When you use an adjustable bed, the chance of your head slipping out of position is reduced and eliminates the possibility of relapsing of snoring. Snoring can be drastically reduced with the use of adjustable beds, which relieves pressure from the airway and ensures sound sleep. It is therefore a good investment for you and your family members, as by getting rid of snoring of any family member, everybody else can also sleep peacefully.